Well, it would seem as though the system took a vacation over the long holiday weekend, as it ate the Review Roundup post. Such things happen occasionally. It's alright... I'll just make a new one this morning for you. Today we have: Dragons Hoard, Andoria Battlefields, Masters of Elements, Rhino Hero Super Battle, Dragon Tower, Wyrmwood Gaming Dice Vault, Slide Blast, Vikings Gone Wild, Avalanche at Yeti Mountain, Vinhos: Deluxe Edition, Horizons, Mansions of Madness 2nd Edition, and Runewars. I know. I know. This was supposed to go up yesterday. Well, WordPress has been flaky lately and it missed its posting window. Hence why it's going up now with a reworded opening talking about it not being posted on Saturday instead of saying, "I'm going to the LGS and gonna pick me up a Minx for Guild Ball!" 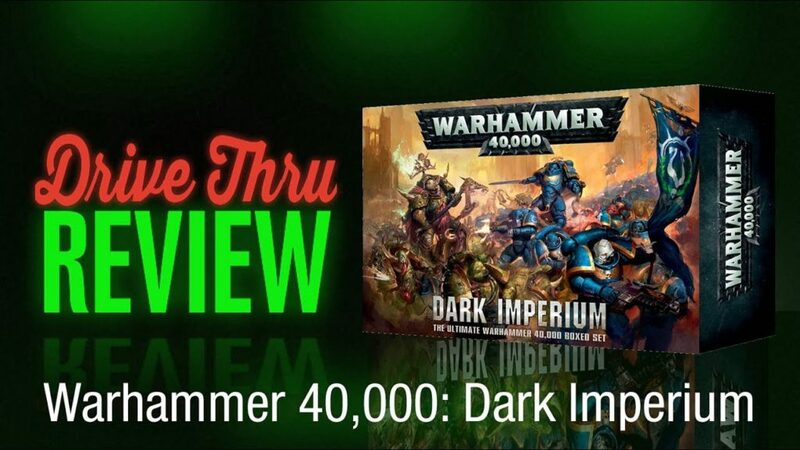 But anyway, without any further delay, today we have: Great Western Trail, Click Click Boom, Radiant, Potion Explosion: The Fifth Element expansion, Rone: Races of New Earth, Legendary Showdown, Pocket Madness, Quadropolis, Rocky Road a la Mode, Race for the Galaxy iOS, Warhammer 40k: 8th Edition, Warhammer 40k: Dark Imperium, Port Royal, Flying Kiwis, and Magic Maze. I hope you're enjoying your Saturday. I'm working on articles for the site. There's 3 review articles in the works as you read this. Not 100% certain on order they'll be posted yet (that sort of stuff changes all the time, if you can believe it), or exact dates, but expect them soon. 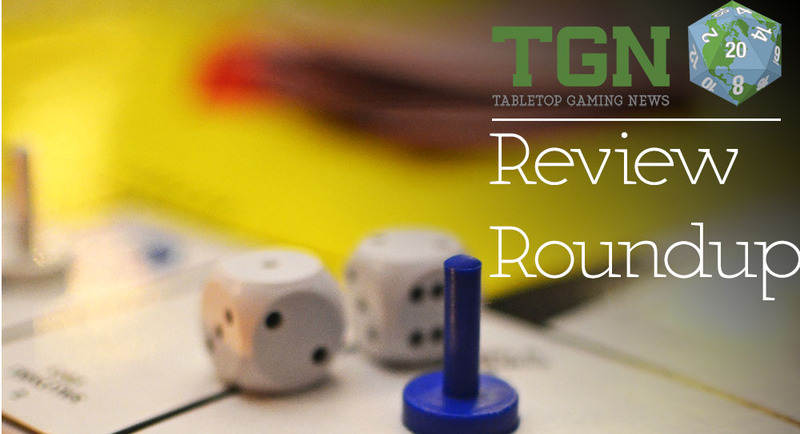 But while those you're going to have to wait a little bit longer, the wait is over for a bunch of other reviews, as it's time for our Review Roundup. This time around we have: Kromlech General Otto and Orc Freak, Boss Monster 2, Tash-Kalar Nethervoid Expansion, Tumult Royale, Project Dreamscape, Dwarves Inc, The Best Treehouse Ever, Firefly: Kalidasa Expansion, CV, Star Wars: Rebellion, and Patchwork. Though I did plenty of sledding through the winters when I lived in Chicago, I've never been skiing (on snow or water, for that matter). So I'm not so sure I'd do so well with a pair of rocket skis, at least in real life. 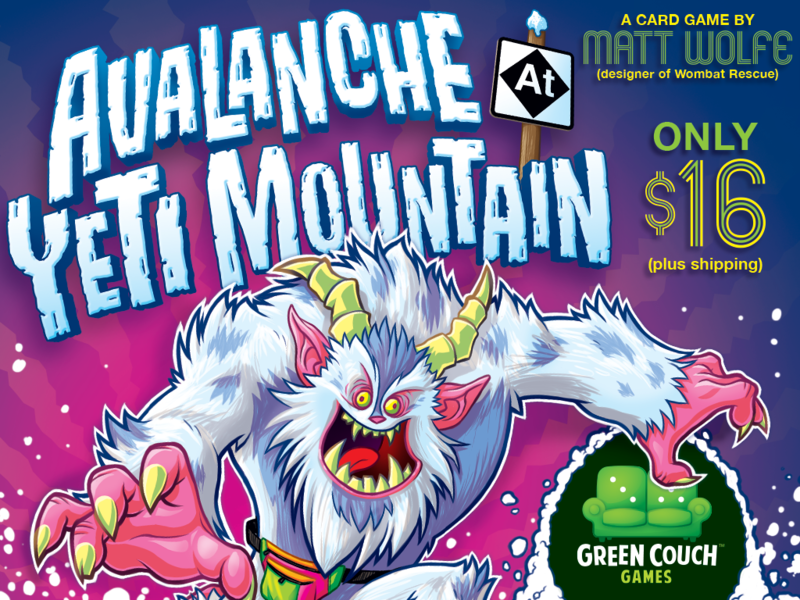 The only chance I might have is playing Avalanche at Yeti Mountain, the new card game from Green Couch Games that's up on Kickstarter. Hello there, beautiful TGN readers. And welcome once more to Saturday. Hopefully you're getting some gaming in, or are going to be getting some gaming in at some point today. It seems only right. Let us know what you've been getting up to with this great hobby of ours. Being Saturday, we have our batch of review articles we've found over the week. 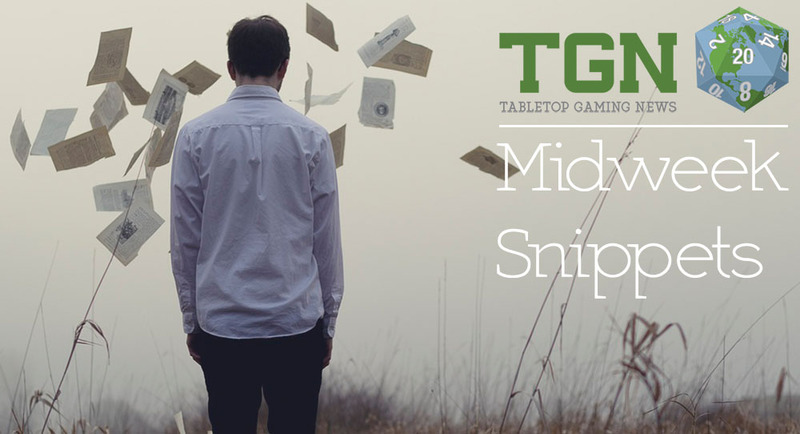 This week we have reviews of: Trajan, Warmachine/Hordes, The Witcher Adventure Game on iOS, Fidelitas, Parfum, Super Dungeon Explore: Forgotten King, Gripping Beast Plastic Saxon Thegns, Quantum Gothic sci-fi Terrain Pieces, and Letters from Whitechapel. Hey everybody! (Hey Louie!) CMON Expo 2015 is in full swing. Yesterday was fantastic and today is only going to build on that excitement. There's a lot planned for today, mostly (at least for me and Jared) the various panels. Be sure to check back throughout the day for reports from those panels. We've seen a sort of "Sneak peek of the sneak peeks" and you'll be excited, I'm sure. But for the moment let's give you the review articles we've found over the course of the week. 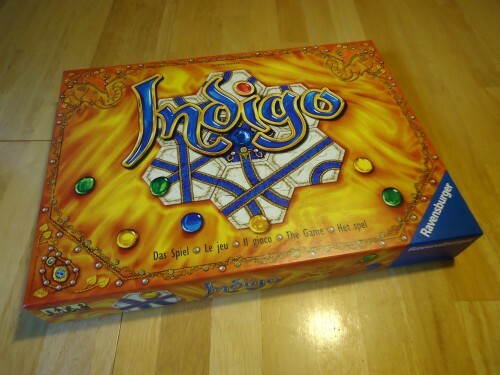 In this batch we have reviews/previews of: Tau Ceti: Planetary Crisis, Indigo, Fidelitas,Yggdrasil, Forge War, Alchemists, Apotheca, Buy the Rights, Nations: The Dice Game, Reign: The Card Game, Machi Koro's Harbor Expansion, and Forbidden Stars. We've made it to another Wednesday. The previous weekend is as far away as the next one is. Some comment about camels. Hopefully the week has been treating you well. Anyway, we've got some of those bite-sized stories to give you. 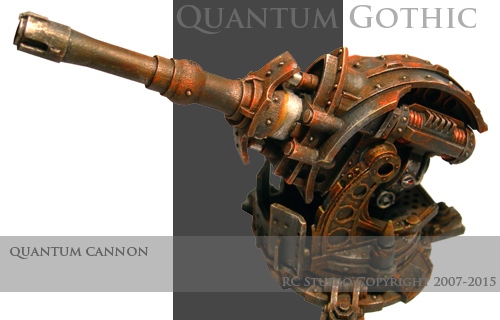 In this installment there's: Angry Mojo Games opens up Webshop, Brigade Models Releases New British Spaceships, Menhir Games posts new renders for KStarter stretch goals, Beasties & Bygones posts Jester Class preview, Quantum Gothic re-releases Quantum Cannon and Sentry-platform twin gun systems/rocket v1, some more sessions of The Fiver from The Meeple Mechanic, New Army Men Combat Update from One Page Rules, Acheson Creations Releases new Skull Tower, 15mm Hades Ghost Team has been released by ClearHorizon Miniatures, Manorhouse Workshop Update #20 Modular Underground Project, and EZPainter Price adjustments. Club Fantasci's David Lowry has a chat with Jason Kotarski about his Fidelitas game that's currently up on Kickstarter. 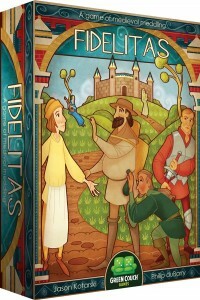 In Fidelitas, players take on the role of faithful citizens in a medieval city exerting influence in order to gain the credibility needed to lead the charge against the corrupt crown. Players play character cards to various locations that make up the city in order to meet conditions of hidden objectives. Each type of character card is associated with a unique action that manipulates cards in the game; use the Butcher to bully other characters to new locations, use the Student to gain more cards, use the Soldier to keep the peasants from loitering too long. In this game where keen maneuvering is key, attentiveness to the opposition may uncover hidden motives that seek to foil your bid for power. 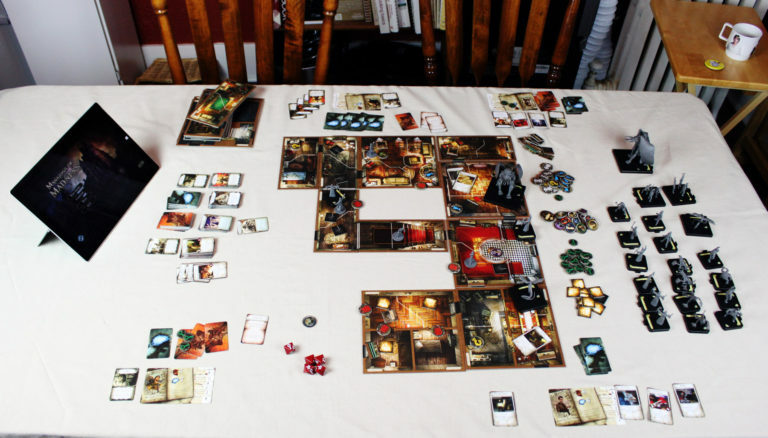 The first player to gain a certain number points depending on the number of players is determined worthy to lead the revolt, and also wins the game. 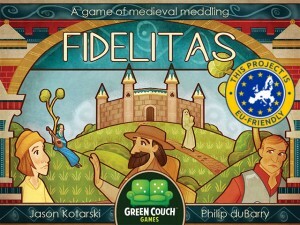 Green Couch Games is in their final week over on Kickstarter for their Fidelitas Kickstarter campaign. They're more than 2x funded, so check out the stretch goals and extras.